Wanting to get your gun loving friend, family member or spouse a gift that will leave them singing your praises? We’ve worked diligently to come up with a list for every budget to make you a gift giving rock star! 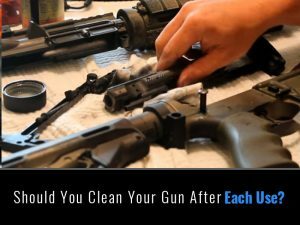 If you shoot on a regular basis you’ll need to make cleaning a part of your shooting routine. This mat will make that routine easier and keep your wife’s kitchen table looking brand new. This particular mat is also keeps parts out of the carpet with its magnetic parts tray for all the small parts. Along with protecting your table, this mat rolls up for easy storage. Make your “stance” on gun control known! Any gun enthusiast who appreciates their Second Amendment right to bear arms and would proudly wear it! 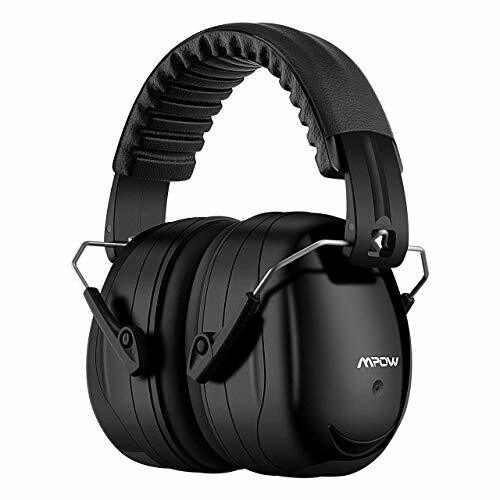 For the range-goer, either indoor or outdoor, ear protection is a must. For the price, this makes a great addition to the range bag for those going to target practice. 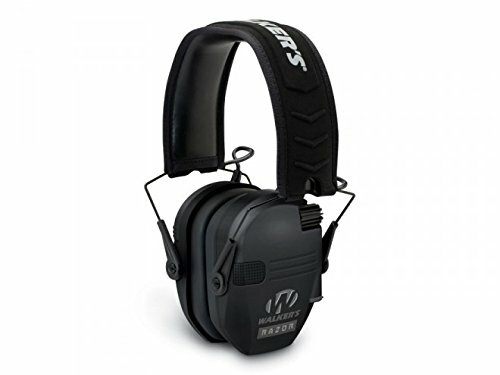 Compact, portable and lightweight checks off a lot of boxes for ear protection. 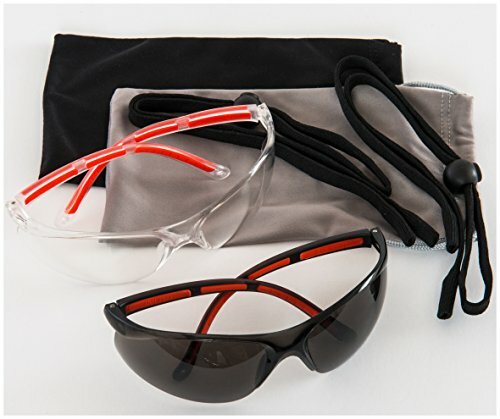 Along with ear protection, eye protection is equally important and should be in everyone’s range bag. Depending on if you’re indoor or outdoor will determine if you need tint added. This two pack, one being clear and one being smoke tinted keeps what you need at hand. If you’ve ever toted your gun through the woods you know exactly how important a sling can be. 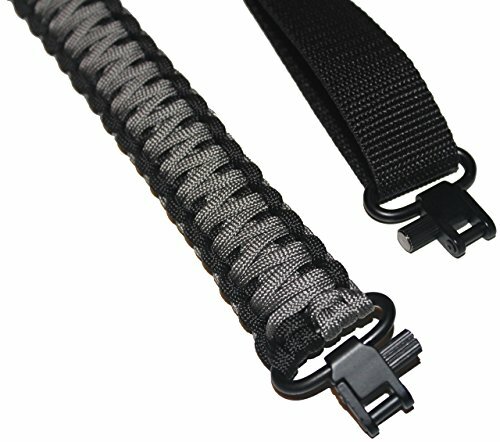 This handmade paracord design gives much needed strength to the sling. The metal gun swivels makes it comfortable for the hunter and saves energy. While out hunting or exploring, the paracord can be used for an emergency, such as a rope, tourniquet, arm sling or tent tie-down. Every gun owner always appreciates good targets in their stash. Whether a casual gun range attendee or avid hunter, target practice is a must. What makes these targets unique is it tells the shooter what they are doing incorrectly when they shoot outside the target area, thus giving them instant feedback on their shot. These are not the typical targets that every gun owner usually has, which make these an excellent gift. 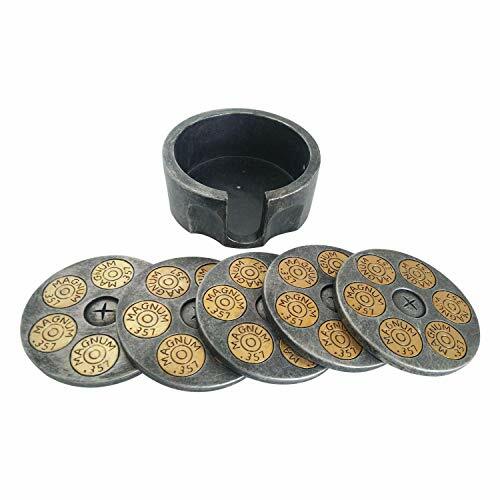 It’s hard to describe these coasters other than “too cool” and “I need those!” You’ll get five .357 magnum coasters and a holder. 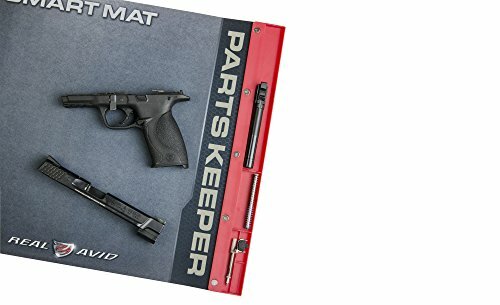 Your gun enthusiast will not be disappointed in receiving this as a gift! 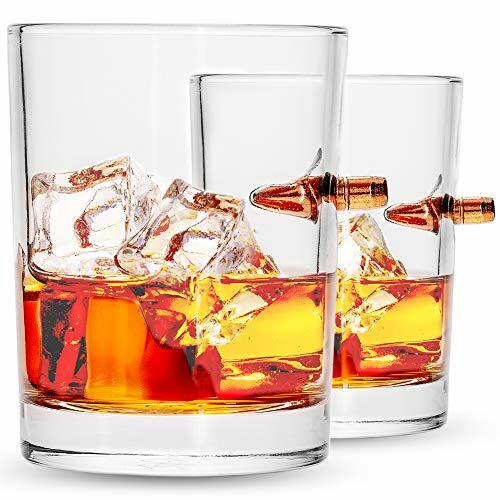 Who doesn’t want a glass with a .308 bullet lodged into it? Such a unique gift sure to impress any gun enthusiast. They’re made of high-quality glass in the USA! Help your gun enthusiast keep their firearms on target with these shooting bag. 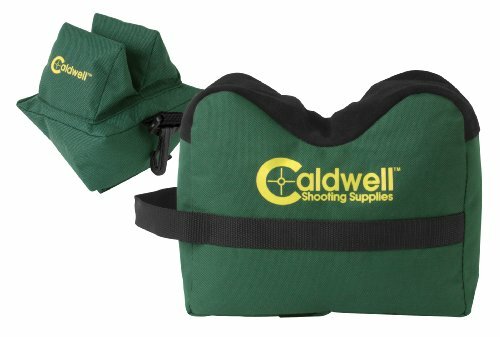 These shooting bags will keep their rifles steady and less susceptible to human error. They’re made from water-resistant polyester with quick-connect latches to help with transporting them. Having a good range bag makes it easy to pick up and go when you want to make a quick trip to the gun range. The many compartments on this bag gives plenty of storage for all the necessities to keep you organized and ready to go. 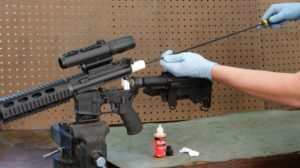 This gun tool is the Swiss Army Knife for gun maintenance. 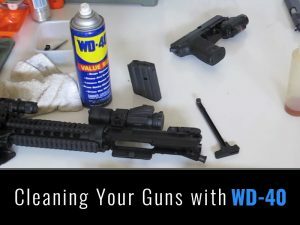 Containing firearm specific bits and drivers make it a go-to for quick repairs during range time. 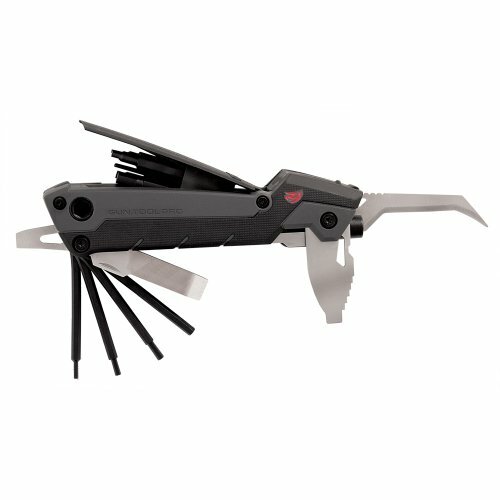 With its 30 in 1 tool, any gun owner would appreciate to have this in their tool kit. 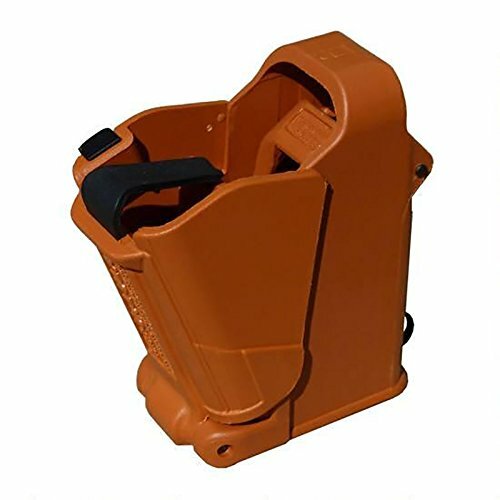 A pistol magazine loader is hands down one of the greatest inventions ever! Being a universal magazine loader adds to the ease of determining which one to buy. It works with single and double stack magazines and is available in six colors. Save your gun enthusiasts thumbs and buy one! 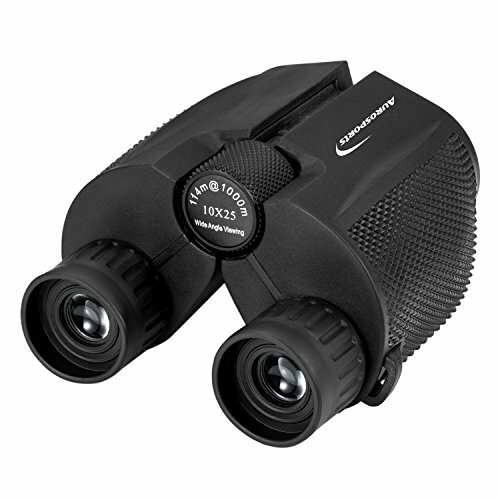 These lightweight 10 x 25 binoculars make a great gift for the hunter that’s looking for binoculars they can slide into a pocket. They have 10x magnification with a 25 mm objective lens. In addition, they can be used for low light conditions. “Protect It or Lose It”. A great slogan for these low profile electronic ear muffs. No need to keep removing your muffs to talk to your fellow shooters. These ear muffs amplify conversations while compressing the loud noises. Very few range days consist of just taking one pistol. 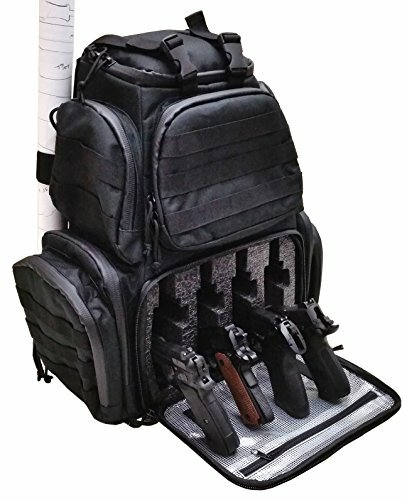 This backpack range bag enables you take up to four pistols and plenty of ammo and gear. 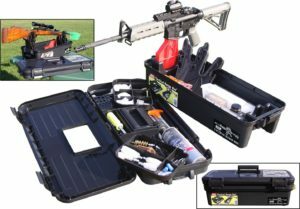 If your gun enthusiast likes to take everything but the kitchen sink to the range, this bag will do the trick! When your gun enthusiast needs long distance viewing for hunting or target shooting get them this scope. 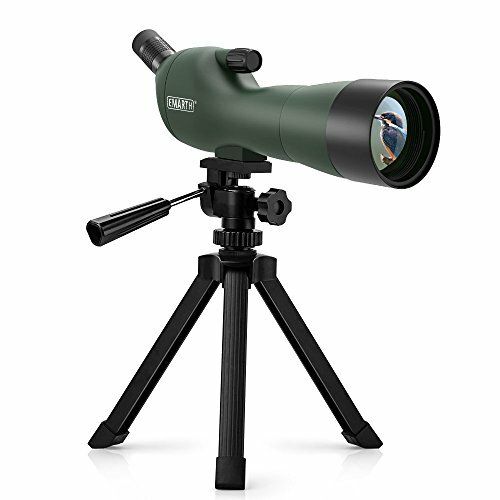 This scope features 20x to 60x magnification with a 39-19m/1000m field-of-view. 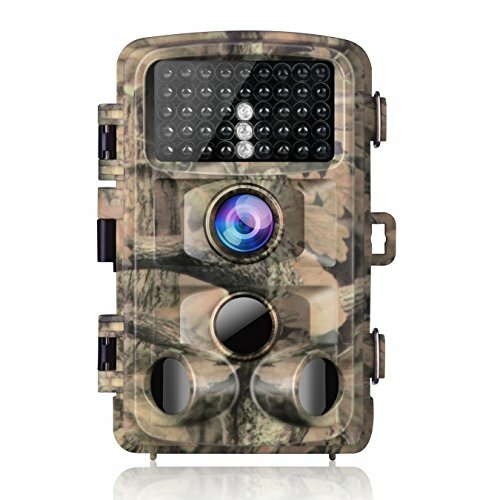 Save time scouting with this trail cam by Campark. Your scouting pictures will be lifelike with a 14 MP camera and full HD 1080P. It also features 3 passive infrared sensors that pick up movement up to 65ft away! 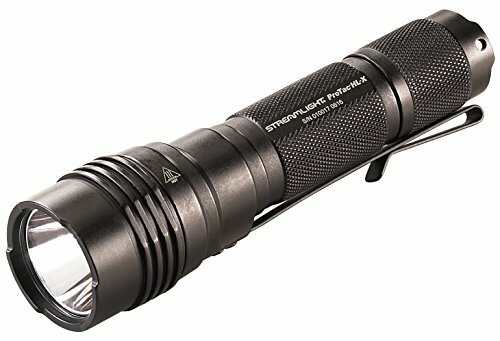 When things go bump in the night this Streamlight tactical flashlight should be in your hand to investigate. Blinding 1000 lumens and three modes will aid you in investigating the bump or hiking into your favorite deer stand. Tricking out that .22 for some serious plinking or squirrel hunting? The AT3 Tactical RD-50 is the perfect accessory for a budget conscious modification. With 2 MOA, 11 red dot brightness settings and 50,000 hours of battery life what more could you need? 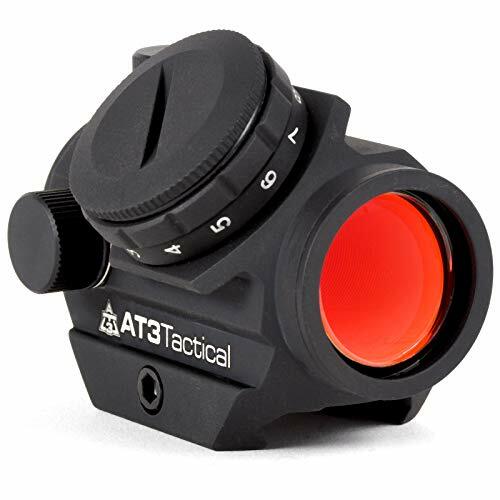 Make your shooting enthusiast happy and grab them this red dot scope. Just say NO to nylon belts! 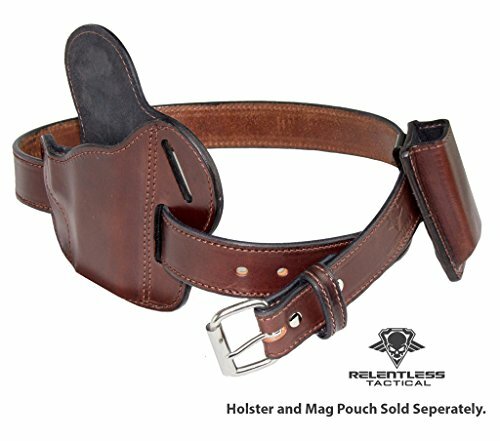 You can with this American made full grain leather concealed carry belt. This belt won’t stretch, bend or sag and can be used for IWB/OWB holsters, mag pouches, flashlights and various other gear. With a lifetime warranty how could you pass this one up? Don’t leave your hunter guessing the exact distance from the target. Help them improve their chances of filling the freezer with this range finder. 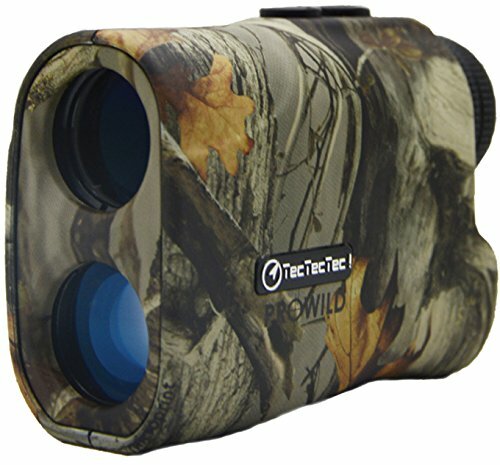 The TecTecTec PoWild rangefinder feature water/dust resistant body, +/- 1m laser accuracy and readings out to 540 yards. 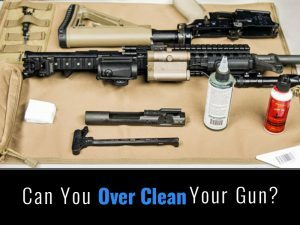 If you’re looking for the best gun cleaning mat this is it! This mat is made from 12 oz. 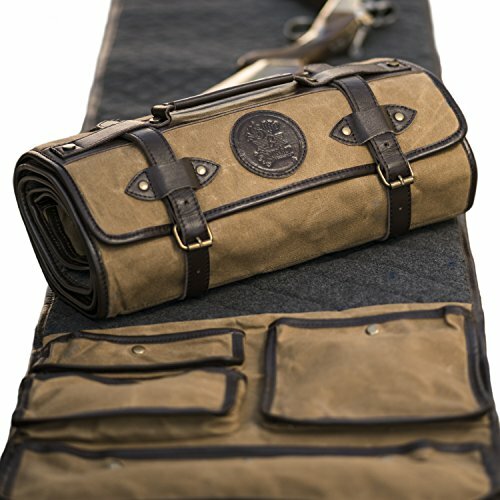 waxed canvas, heavy wool and leather making it a classy, functional gun mat. 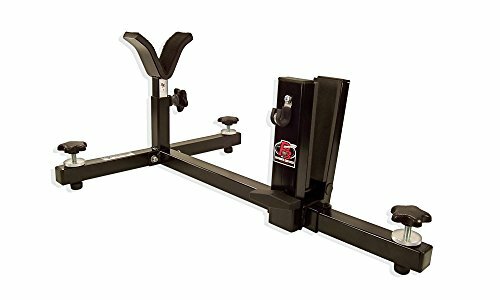 It’s built to handle just about any size gun with its 69” x 16” size. 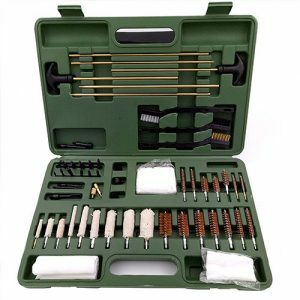 The inner sections of this gun cleaning mat is designed to hold all of your gun cleaning kit, including brushes, bore snakes, lubricants, and more. 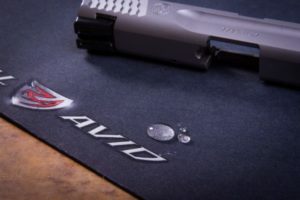 Therefore it acts as a gun cleaning case and a cleaning mat. Quick access to your pistol can be a life saver if you’re ever forced to defend your family from those wishing to inflict harm. 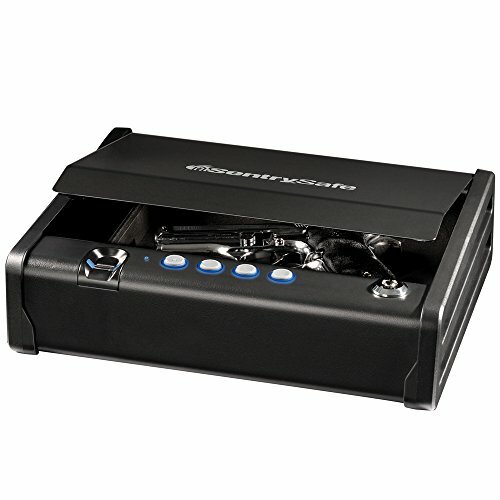 This single gun pistol safe gives you the quick access with its biometric opening and at the same time keeps your pistol safe from theft. It’s a hefty, solidly constructed safe coming in at almost 12 pounds. It features a pry resistant door and compression gas strut for quick opening. 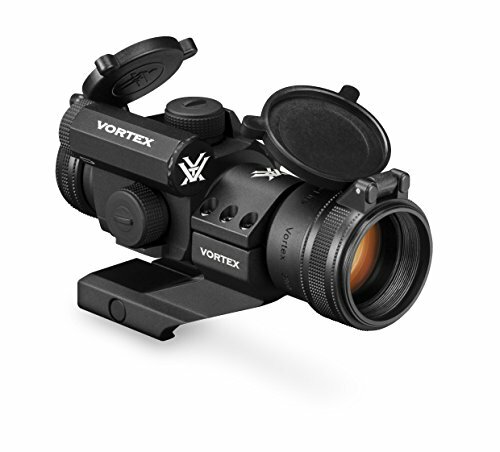 Don’t let your hunting enthusiast miss bagging game with this Vortex StrikeFire II red dot sight. It has two color dot options and ten brightness levels making it a solid choice to bring home the bacon! 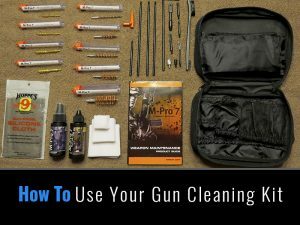 Does your shooting enthusiast need an extra set of hands when cleaning their firearms? This vise will be willing and able to lend a hand. It was designed to accommodate both rifles and pistols. It’s constructed with heavy-duty steel to stand up to a beating for years. Who wants to wake up with a bruised and sore shoulder? 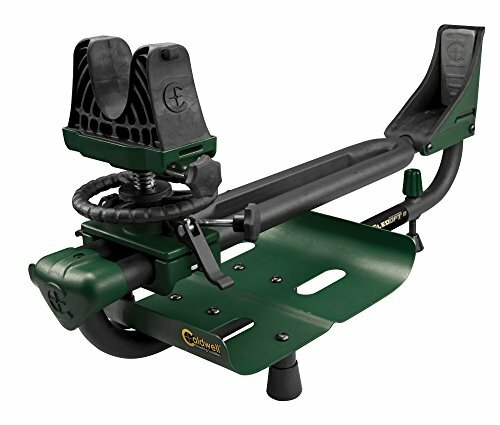 Let this shooting sled absorb the recoil for your shooting enthusiast. It will fit virtually any shotgun or rifle length. Hope this is a helpful in finding the perfect gift for your gun loving friend. If you can’t find the perfect gift drop us a note and we’ll help you out!